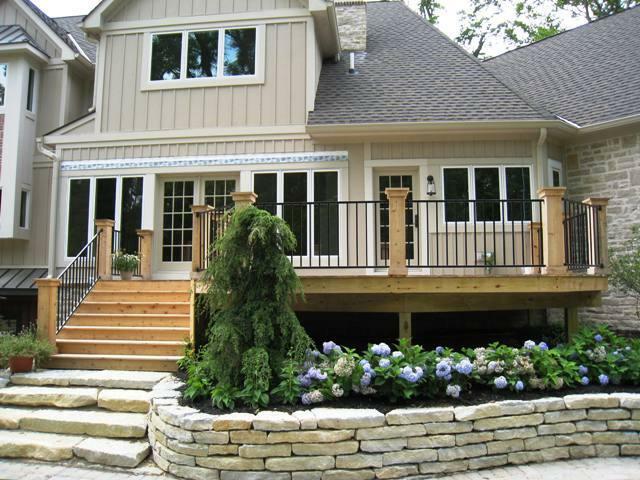 Archadeck of Columbus helps you plan the perfect patio or hardscape this spring from start to finish and everything in-between. 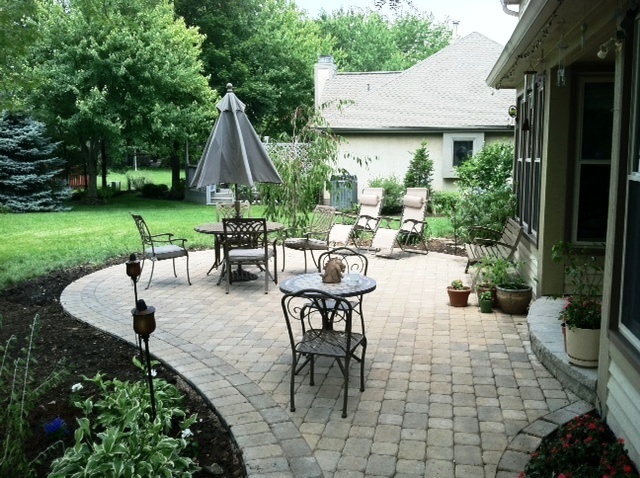 This covered paver patio in Columbus is a great example of planning for function and comfort in your outdoor space. When it comes to getting the most enjoyment and functionality out of your patio or hardscape, the devil is in the details. To the surprise of many of our clients one of the most important things to consider when planning your design is what will actually go into your space in terms of furniture, grills, etc. The key is to treat your outdoor spaces with the same consideration when analyzing and “sizing up” your interior space. How often do you go into an empty house and not really think about your furnishings? When you purchased your home, the room sizes were predetermined so you had to fit within those constraints. If you’re adding a new outdoor space, you can determine how you want to live in your new space and thus how you want to furnish it. That will tell us what size your new space needs to be. Planning the perfect patio includes furniture considerations, shape, size and placement to allow proper traffic flow. During our consultation we always ask what primary function your space will serve. For example, will your space be used primarily for dining or seating? If your answer is dining, then we take into consideration how many chairs you will need and the size of your table. If you are considering using a round table which is typically four feet in diameter and includes four chairs that are typically two and a half feet deep, we can help you decide your best use of space. One crucial factor that is often missed is allowing ample pull-out room for your chairs. Having enough room to easily sit back and relax in your chairs is a necessity if you want to get the most enjoyment from your space. Another key consideration is the type of chairs you intend to use in your patio. Rockers, swivels and stationary chairs all have different dimensions. Knowing ahead of time what furnishings you intend to use will allow us to ensure your space delivers proper traffic flow. The goal is to have a space that is large enough to travel to and around your table easily. This is especially important with dining because tripping could cause an accident or a spill. Consider the big picture and how you wish your space to function in the years to come when planning your patio or hardscape endeavor. A very popular table size is four feet in diameter. In order to obtain a comfortable proportion you will need a space that is 8 and a half feet. You have to consider the space that the chairs occupy when being occupied and the space they occupy when you and your guests are sitting away from the table during conversation or after meals. A typical case scenario is when your table is occupied and all are sitting away from the table. Then, you s till need room to move around those chairs. Once you add up all these measurements, this totals an area of approximately 14 square feet. There’s a lot more than meets the eye when it comes to space planning. 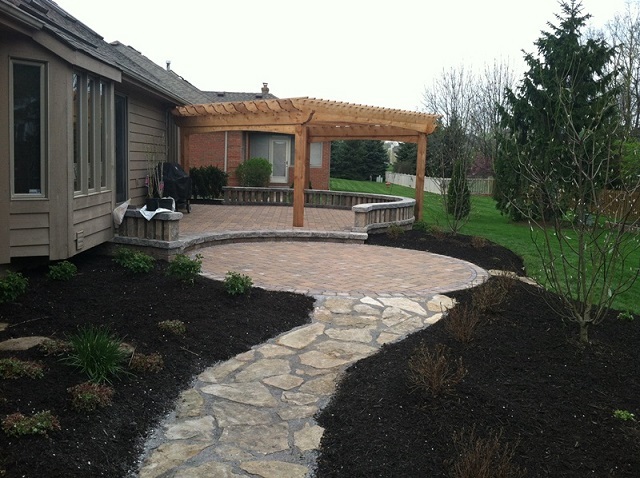 This hardscape patio and path in Columbus, OH is a good example of mixing hardscape mediums in one design. Once you have decided upon the perfect size furnishings to use for your new space, you’ll need to think about texture choices. A scored concrete or paver patio contains undulation which is part of the beauty of the hardscape itself. These undulations and grooves also mean your chairs will not sit perfectly flat as they did in the showroom when you made your purchase. Some hardscape materials offer a more level surface than others. If leveled area for seating and dining is a must then we can mix mediums in your hardscape design. Mixing mediums will allow for a mix of smooth hardscape in your functional space and rough textured hardscapes throughout the remainder of your patio. Not only will this solve the dilemma of rocking furniture, it also looks great and helps delineate your space. The joints of your paver patio will also influence steadiness of your furnishings. The distance of the pavers to each other will help hold furnishings level. In essence a smaller joint promotes a steadier surface for tables and chairs. We cannot forget the importance of choosing outdoor furnishings that match the appeal of your patio. Many of today’s contemporary outdoor furniture designs use streamlined design with deeper seating with less of an emphasis on a slender leg. Stacked resin furniture is wildly popular right now. The trend we see throughout outdoor furniture design is taking the comfort and easy feel of your living room into the exterior. 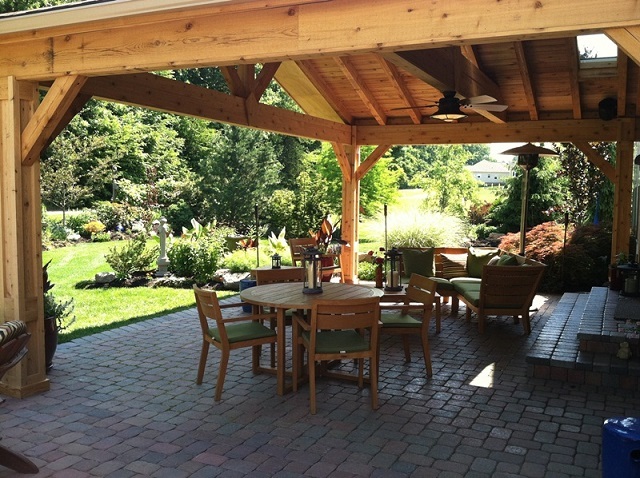 The term outdoor room is widely used in patio and hardscape designs for this very reason. Homeowner’s are leaning toward outdoor furniture that mimics the comfort and loftiness of their favorite couch or easy chair but with low-maintenance outdoor fabric choices. 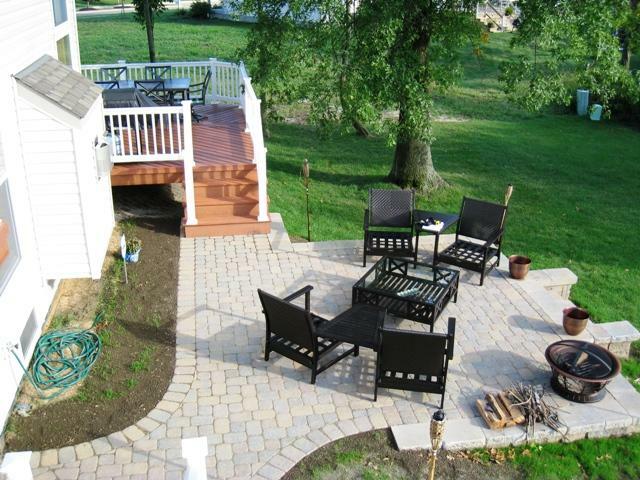 This deck and patio combination by Archadeck of Columbus exemplifies good landscape planning. Last but certainly never least, don’t forget the patio landscaping. 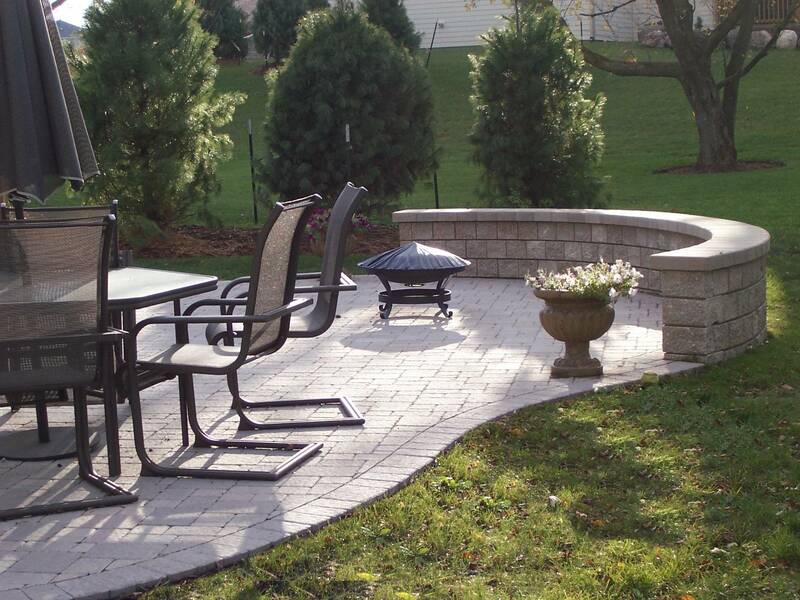 This stage of planning a patio or hardscape addition is often an afterthought. Many times homeowners only landscape the area around the perimeter of the patio after completion. The foundation of a patio extends by about one foot to support the outside perimeter. It needs to have a landscaping plan even if it only includes mulch beds or planting beds. This is also a service Archadeck of Columbus can provide enabling you to build it into your contract. Landscaping choices should also reflect shade configurations that will affect your completed patio or hardscape and be planned accordingly. See more examples of stunning patios and hardscapes by visiting our patio and hardscape photo gallery and our outdoor living photo gallery located on our website. Next Next post: With Archadeck of Columbus’ staged building program you can be a winner too!